We love caverns and caves. We had the chance to explore the Natural Bridge Caverns just north of San Antonio, Texas – and we were delighted! They were beautiful! It had towering ceilings covered in stalactites, bacon ribbons, and other unusual formations! The Natural Bridge Caverns are different from many other in that the farther we walked into the cavern, the warmer it got! 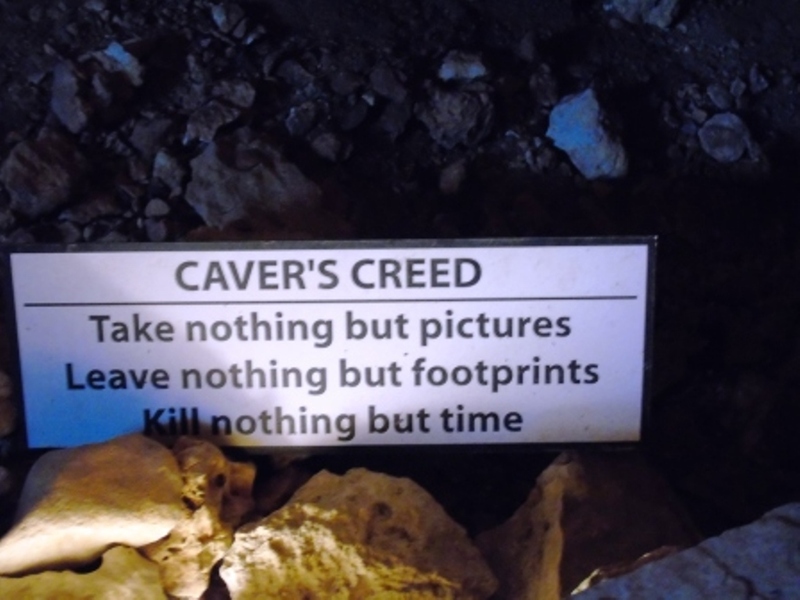 If you have any experience with caves, you are aware that they usually get cooler as you walk further into the cave. Our tour guide explained to us that this was considered a ‘living’ cave because they installed doors to maintain the temperature and humidity. Whereas most other caves have a vent hole that allowed an air current to pass through it allowing the moisture to escape, thereby cooling the overall temperature of the cave. Caves are so cool to explore! It is amazing to think that one drop of water over hundreds and thousands of years can create such magnificent sculptures of art that look so strong but are in reality so fragile.